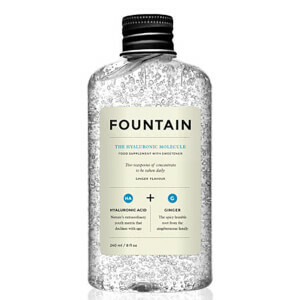 Fountain The Hyaluronic Molecule is a beauty supplement that will help to keep your skin feeling smooth and firm, your eyes lubricated and your joints supple. Boasting a delicious ginger flavour and suitable for both adult men and women, The Hyaluronic Molecule provides 130mg of vegan-friendly hyaluronic acid for every two teaspoon serving. 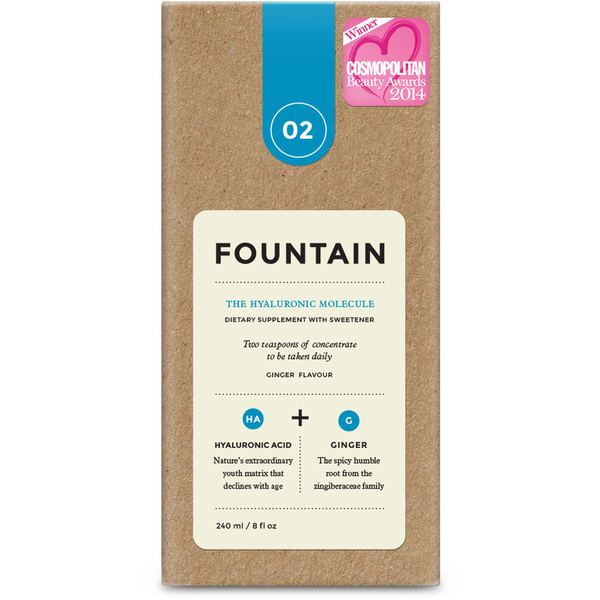 Free from artificial colours and flavours, the supplement is sweetened with natural xylitol, which can help to contribute to good dental health. - L.M. Water, Sweetener Xylitol, Hyaluronic Acid, Natural Ginger Flavour, Zingiber Officinale Root Oil, Preservative Potassium Sorbate, Preservative Citric Acid.